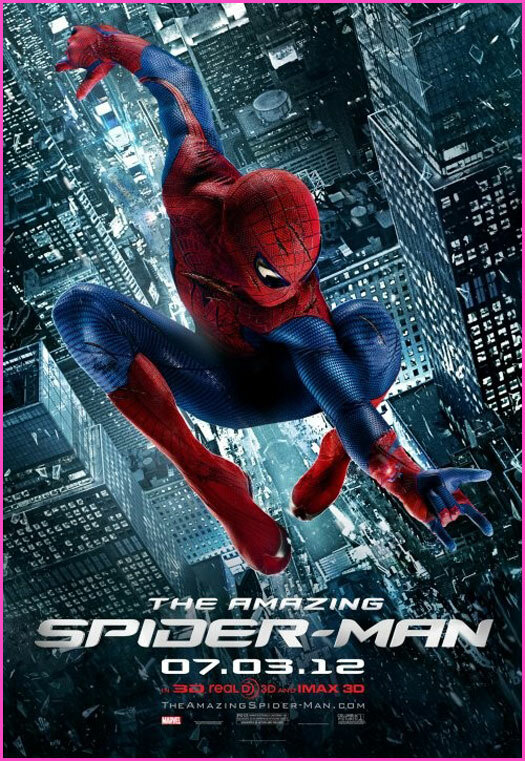 Blog #153: Movie Review: The Amazing Spider-Man! In short, this might be the greatest movie reboot ever! A couple of notes to start, which, if you’ve read my previous reviews you may have seen. I am not a great reviewer, so a lot of this will be, “so this happened and it was awesome”. It’s hard to take notes on an iPhone in a theater, so some of the quotes may not be quite accurate. Also, I haven’t watched the original trilogy in a while, so if my comparisons are a little off, I’m misremembering. The Amazing Spider-Man is damn near perfect. I was worried about a number of things, but in the end, I was worried for nothing. There were a few things that bugged me, but they were mostly minor. I’m going to go through the whole movie, then answer my questions from my previous blog. The movie opens with a young Peter Parker playing hide and seek with his father. There is a moment when he sees his father’s glasses on a table and tries them on. At the time it doesn’t seem like it’s important, but it is somewhat significant later. Young Peter finds his father’s office ransacked. His father comes in and removes a file hidden in a secret compartment in a drawer. I really liked this opening. Without any complicated explanations or scenes about what he is working on, we know his father is afraid to the point of paranoia of anyone getting that file. What it is exactly is irrelevant. I thought this was a brilliant set up. After the emotional scene where he is left with Uncle Ben and Aunt May (who are played brilliantly by Martin Sheen and Sally Field), we fast forward to Peter in High School. 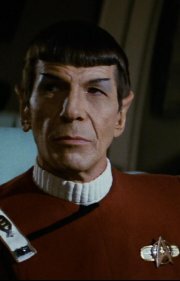 Peter is not being portrayed as the stereotypical nerd, as he was in the first trilogy. For starters, he doesn’t wear glasses and rides a skateboard. (I never thought of skateboarding as a nerd activity.) Usually nerds are portrayed as “good kids”. Peter is told not to ride is skateboard in school, picks it up and apologizes to the teacher, then walks around a corner and starts riding it again. Just a little bit rebellious. I like it. The most important change to his character happens when he gets outside to find Flash Thompson bullying a kid. Not only does Peter try to intervene, he uses Flash’s first name, Eugene, which he obviously knows will get his attention. He does manage to rescue the other student, but gets the crap beat out of him for his trouble. I don’t remember pre spider powers Peter Parker standing up to anyone. I loved it. Also, it was nice to see Peter being sarcastic even while being beaten up. Spider-Man is nothing without witty one-liners. Peter is then rescued by Gwen Stacy. I don’t know much about Gwen from the comics. I never read comics until much later, so while I know her basic story, I’m not sure how she compares to comic book Gwen, but I liked how Peter getting beat up defending another student got him noticed by Gwen before he even gets his spider powers. After Peter gets home and Aunt May gets upset because he “fell,” we get a great scene with Uncle Ben, who isn’t fooled for a minute. Then Peter finds his father’s briefcase, and we have a major difference with the previous trilogy. In the original trilogy, I don’t recall Peter showing any kind of emotion regarding his parent’s absence, or if he did, it was just in one scene, and then never important again. I never really thought about it before, but in retrospect, it should have had a greater affect on him than it did. The new movie doesn’t have this problem. It’s clear from the moment Peter finds his father’s briefcase that the loss of his parents has had a profound affect on him. Peter lays out his father’s things like treasure, and even goes so far as to take out his contact lenses and put on his father’s glasses. Peter finds the file with the Decay Rate Algorithm hidden in the briefcase and starts to study it. There is a great scene where Ben comes into Peter’s room and they have a talk. Ben tells Peter who Curt Connors is and how he understands how hard it’s been for without his father. What I love most about this scene is that when Ben comes in, he picks up the Rubik’s cube of Peter’s desk. Now, maybe it’s just me, but I’ve seen many cliché scenes in movies and on TV when the father comes in to have a heart to heart with his son, and there is always a baseball lying around that he picks up while he’s talking. I thought using a Rubik’s cube in place of a baseball was great. This was one of my favorite lines in the whole movie. Peter sneaks into Oscorp to meet Dr. Connors, stealing a name badge meant for one of the interns. Peter runs into none other than Gwen Stacy and Dr. Connors. He is easily able to impress Dr. Connors with his knowledge of his work having read his book. Gwen allows him to stay, even though he’s not supposed to be there. This was one of the few moments in the movie that I thought could have been done better. She knows he isn’t supposed to be there, and lets him stay. That’s fine, but later she takes him name badge, even though he really hasn’t done anything to change the situation as far as she knows. Could have been done a little different, but really a very minor thing. Peter runs into (literally) Rajit Ratha (according to IMDB, I don’t recall his name being said in the movie, though I may have missed it). Peter picks up the file he dropped and sees the same symbols that were on his father’s file. Peter follows him and finds his way into the Bio Cable Development Unit, where genetically enhanced spiders are making Oscorp’s revolutionary bio cable, which we will later learn was developed by Peter’s father. We cut to a scene of Connros and Ratha and learn that Norman Osborn is dying, though we don’t find out from what. What is clear is that Connors work (and Peter’s father’s) is part of the effort to save him. This is very clearly set up for the second movie. If there was any doubt that Oscorp was involved in what happened to Peter’s parents this scene pretty much puts that to rest. We also learn that what is missing is the Decay Rate Algorithm. While in the Bio Cable Development Unit, some spiders fall on Peter. He thinks he gets them all off, but doesn’t. I absolutely LOVED this. In both the original trilogy and the original comic origin, the spider has inexplicably escaped and just happens to bite him. This time, it was his fault it happened, not random chance. He went into the Bio Cable Development Unit where he new darn well he wasn’t supposed to be and as a result was bitten and since his father developed the spiders, it really ties his origin and his father together. It’s perfect. Peter then runs into Gwen again and she takes his badge just as the spider bites him. The next scene in the subway is great. Peter’s powers begin to take hold. My favorite part of this scene is that they demonstrated his Spider Sense without actually explaining it. He very clearly is able to sense danger in this scene, and even someone who knows nothing about Spider-Man should be able to pick that up. Really well done. Peter gets home late, and in one of the funniest scenes in the movie, proceeds to raid the refrigerator after catching a fly and suddenly getting very hungry. This is one of my favorite scenes with Ben and May, as they banter back and forth about Peter’s odd behavior and how bad her meatloaf is. Peter then finds the spider attached by a length of bio cable to the wound on the back of his neck, and I don’t really understand why. I suppose that he must realize a spider bit him, but why after biting him would the spider attach itself to the bite like that and then die? It doesn’t really make much sense to me. Now, since we know that he keeps the dead spider, perhaps that will be important in a future movie, but a little explanation for why it happened like that would be nice at some point. Next we get some more comedy. Peter wakes up to his alarm clock going off, goes to turn it off and smashes it to bits. He then accidentally destroys the bathroom with his newfound powers, and it’s hysterical. Then he starts researching his father, spiders, and curt Connors, which goes fine until the keys start sticking to his fingers. Love these scenes. After Peter goes to see Curt Connors and gives him the Decay Rate Algorithm, we see Peter in the school gym standing up to Flash Thompson. Again, this is a great change from the original trilogy, where Peter’s standing up to Flash was more accidental than deliberate. Here Peter is deliberately trying to humiliate Flash. After the backboard breaks, Peter and Uncle Ben meet with the principal. We don’t get to listen in on this scene, but we really don’t have to. Uncle Ben then proceeds to lecture Peter, and this is one of my few issues with the movie. What is Ben’s problem? Flash beat the crap out of Peter, and all Peter did was make him look like a fool. To me, Peter would have had every right to let Flash have it, but he didn’t. I really am not sure why Uncle Ben needs to be so hard on Peter for this. Gwen Stacy shows up, and after some funny comments from Ben, who tells Peter he needs to pick up Aunt may because he had to change his shift, Peter asks her out in what must be the most awkward way humanly possible. Still, he does manage to ask her (sort of) and she says yes. We then get a montage of Peter playing on his skateboard and learning about his powers. This includes a great scene of him swinging through a warehouse on chains hanging from the ceiling. Peter then works with Dr. Connors on the formula. After many failed simulations, they find one that works and inject Fred the mouse. Peter gets home late and argues with Uncle Ben. Peter storms out angry, and Ben goes after him, and now we come to one of my favorite parts of the movie. Peter tries to buy a drink in a convenience store. He is two pennies short and the clerk won’t let him take two cents from the take-a-penny tray, saying that it is store policy that you can only do that with purchase of ten dollars or more. As Peter is about to leave, the guy behind him walks up to the counter, knocks over a display, and as the clerk is picking it up, grabs the cash from the register. He also tosses Peter his drink as he’s leaving. The guy takes off running down the street until he falls right in front of Uncle Ben. A gun slides out of his pocket, and Ben tries to get to it. They wrestle for the gun and Uncle Ben is shot. Peter hears the shot, but Ben is already dead before he gets to his side. There are so many things I love about the way they did this. First off, because Peter stormed out and Ben went after him, it felt like Peter was more responsible for what happened to Ben, and that Aunt May knows that. In the original trilogy, Aunt May didn’t seem to think Peter had any responsibility for what happened before he told her the truth. This time, it is very clear he is at least somewhat responsible. Hard to say how that might affect things later if he tells her the truth, but I think it’s good that May knows at least some of why Peter was responsible. Second, Peter not only doesn’t try to stop the crime, but also in a small way benefits from it. It’s a small thing, but I was surprised when the guy tossed him the drink. A nice change that deepens his responsibility for what happens. Third, in the original version, Peter was screwed by the wrestling promoter pretty badly and was then confronted by a guy with a gun that he could have stopped. So, he had a major reason not to help the guy and was confronted with something very serious, which could obviously have ramifications. This time they did the exact opposite. The clerk was a jerk, but what he did to Peter wasn’t exactly the end of the world. The crime committed was relatively minor. I think this makes Peter’s failure more severe and the lesson learned even deeper. Not only did he let the guy get away, but also he did it for a far more petty reason. A seemingly minor crime that might not have even been worth him stopping became a major one. Maybe it’s just me, but I thought this was more emotional and I liked it much more than the original story. Following Uncle Ben’s death, Peter gets a copy of the sketch of the killer from the cops and then listens to part of the voicemail Uncle Ben left him before he died. I liked this, but was disappointed later when he listens to the rest of the message (more on that later). Peter starts searching out criminals who fit the general description of the man who murdered his Uncle. He gets in a little over his head the first time. In a nice reference to the original, he falls through the top of a building into an abandoned wrestling ring, while the guy he nearly killed is screaming that he saw his face. Peter sees an old poster of a wrestler in a mask. Peter makes a mask that looks nothing like Spider-Man, and then begins to refine it. He also uses Oscorp bio cable to develop his web shooters and starts fighting crime, searching for his Uncles killer. Now, I can’t go any further without talking about the decision to go with mechanical rather than biological web shooters. I really don’t think it makes much difference to the character whether he has mechanical or biological web shooters. I think it does make a huge difference for those writing the stories. I think mechanical shooters are a copout for writers. It allows writers, whether in comics or movies, to eliminate his web powers whenever it suits them for the story. They can just have him run out of web fluid/cable, have no money to buy more web fluid/cable, or have the launchers jammed or destroyed (as they did at the end of the movie). In short, it builds in an easy way to take away that ability away anytime they want. It makes it too easy. At least I think so. Now, admittedly, many characters have built in ways to alter their powers when it suits the writers. If you don’t want Superman to see through something, make it out of lead. The difference is, that is a limitation of his ability, and being able to take the web shooters out of the equation simply because it is a mechanical device is just too easy. Maybe that’s just me. As Peter refines his costume, eventually creating the classic Spider-Man look, the police start to take notice of him. This comes to a head when he thwarts a car thief while being a total douche bag and then forgets to bring home the eggs Aunt May asked him to get. This is also when she asks him about why he’s getting so beat up all the time. He of course, doesn’t give her an answer. This is important later, I think. Ratha tells Connors that the drug needs to be tested on humans. Connors is opposed, as there needs to be more testing before that can happen. Ratha fires Connors and takes the drug, telling Connors he is going to test it in a veteran’s hospital. Gwen invites Peter for dinner. The next two sequences cut back and forth between Peter and Connors, but for simplicity’s sake, I’m going to take them one at a time. Dr. Connors takes the formula. His arm grows back, but he quickly realizes that something is very wrong. He tries to contact Ratha and finds that he is already on his way to the veteran’s hospital. Connors goes to stop him. I really liked the way they set this up. At his core, Connors was a good man, who had the best intentions for his work. At dinner, the subject of Spider-Man comes up and Peter gets a little defensive about it. I think this was very well done. Peter is still trying to figure out who he is as Spider-Man, and it’s only natural that he would defend his actions, while Captain Stacy is going to take the “he’s a menace” attitude. I still miss J. Jonah Jameson, but Captain Stacy fills the same role well. After Peter and Captain Stacy verbally spar for a bit, Gwen decides to get Peter out of there. Out on the terrace, Peter tries to tell her that he is Spider-Man, but can’t manage to get the words out. It’s absolutely perfect when he webs her, pulls her to him, and they kiss. I loved it. You can hear sirens in the distance, and just before Gwen goes back inside, Peter jumps of the ledge. Andrew Garfield and Emma Stone have such great chemistry in all of their scenes, but this one in particular. Peter heads toward the commotion on the bridge to find the Lizard tearing the place apart. What is interesting is that at this point the Lizard is going after Ratha, presumably to stop him. He’s still at his core, trying to do the right thing, though the animal has still taken over to the point that he is throwing cars, some which have people in them, off the bridge. Spider-Man and the Lizard fight briefly, before the Lizard retreats. The scene when Peter saves the boy from the car hanging off the bridge was great. It’s the first time Peter really becomes the hero we knows he will become. Peter goes to see Connors. It’s unclear at this point if he suspects his involvement with the Lizard before this, but it’s absolutely clear when he sees the mutated mouse that he knows. Peter does the last thing I would have expected. He goes to Captain Stacy to tell him that Curt Connors is the Lizard, having learned from mistakes he’s made in the past. I think this showed great character growth. After Peter leaves, I did not expect Stacy to even humor him, but he does. Great scene. Peter spies a lizard and heads down into the sewer to look for the Lizard. Meanwhile, Dr. Connors is giving himself a higher does of the formula. Peter does a very smart thing here. He tries to lure the Lizard in so he can get a picture as proof. Unfortunately after their battle, he leaves his camera behind and gives himself away. Cut up and hurt following their battle, he goes to see Gwen. Following a hysterical scene with her father, Gwen cleans Peter’s wounds, and she shares with him her fear that she never knows if her father was going to come home. As I said earlier, I don’t know much about Gwen from the comics, so I don’t know if this is new or not, but I really liked it. The Lizard makes more of the formula and then attacks Peter at school. The battle was really great, as it felt like something right out of the comic, with Peter using his strength, speed, agility, and webbing to fight the Lizard. I really loved this scene. During the battle we got Stan Lee’s cameo as a librarian wearing headphones, blissfully ignorant of the battle that was taking place behind him. Awesome. Peter pursues the Lizard into the sewer, while Gwen heads to Oscorp to make an antidote for the formula. It does seem to me like an antidote is a little easy to come up with, but it was necessary for the story I suppose. Peter finds the Lizard’s lab in the sewer and discovers Connors’ plan. He calls Gwen to warn her that he is going to Oscorp, but she refuses to leave before the antidote is ready. The Lizard releases some of the formula into the air, infecting a group of police. I really liked that they did this, so there is some tangible evidence of what he was trying to do. I think this makes it easier for Captain Stacy to trust Peter later. Peter heads for Oscrop, but is ambushed and knocked unconscious by the police. This is another favorite scene of mine. Just as Captain Stacy unmasks Peter, he wakes up, and for a moment, it looks like he will get away with his secret identity intact. Peter manages to incapacitate all the cops accept for Captain Stacy. Without any other choice, he turns around and reveals that he is Spider-Man. He tells Captain Stacy that Gwen is at Oscorp and that is where the Lizard is going. Captain Stacy lets him go, but not before one of the police wakes up and shoots Peter in the leg. At Oscorp, Gwen delays the Lizard and hides with the machine he needs to disperse the serum. When the Lizard finds her, even though she uses a makeshift flamethrower on him, he does not harm her. I really liked this, as it shows that Curt Connors is still in there and also removes Peter from having to rescue Gwen. This to me is evidence that they will in fact do the Death of Gwen Stacy in movie 2 or 3. They would not want to have Peter need to rescue her in every movie, as that would get redundant. I’ve got my fingers crossed. Peter’s wound makes it hard for him to get to Oscorp. With the news coverage, people can see that he is hurt. The father from the bridge organizes construction crews to swing their cranes over the street leading to Oscorp to help Spider-Man. I’ve seen some negative comments regarding this in various places online. My only issue with it is that I can’t imagine there are that many cranes in the area. One of the cornerstones of Spider-Man has always been that some of the people love him and some hate him. I think this was a great way to show that many people support him, and I think it did make it easier to get where he was going, as he didn’t need to swing near buildings, though I will submit it is dubious that it would help that much. The only negative I have about this, is that after he webs over the wound and gets to Oscorp, they kind of forget that he is hurt. It’s a minor thing, and I think the benefit of showing how the people of the city feel about him far outweighs the negative about it. Gwen runs out of Oscorp with the antidote and gives it to her father, who has the above great line before heading inside to help Peter. Peter and the Lizard have an epic fight scene, during which Peter’s web shooters are destroyed. The Lizard is then exposed to liquid nitrogen (I think, whatever it was caused him to freeze) and Captain Stacy shows up and starts shooting him. Peter heads off to put the antidote in the dispersal machine, while the Lizard recovers and mortally wounds Captain Stacy. The Lizard catches up to Peter, but he is too late. The antidote is dispersed and the Lizard and Peter start to fall. Connors, now becoming human again, saves Peter from falling off the side of the building. This is what I mean by the mechanical web shooter being a copout. This is a great way to show that Connors really isn’t evil, but at the same time, they could have done it in another way without having Peter’s web shooters destroyed. It’s a small thing really, but it does annoy me. Captain Stacy dies, asking Peter to promise him that he will stay away from Gwen. Peter then arrives home where Aunt May is watching the news coverage of the Spider-Man and Lizard fight. He picked up the eggs she wanted on the way home. Here I have a question. She knows Peter is doing something that is getting him beaten up. Could she realize that he is Spider-Man? On the other hand, how could she not realize it? I mean, there needs to be some explanation for his injuries. Also, he’s got a bullet in his leg. If she does know, she doesn’t let on, but it seems like she’d have to be pretty dumb not to realize there is a connection. It would be nice if she new, then we could dispense with him having to hide it from her. If she doesn’t though, I think the filmmakers shouldn’t have had him get visible injuries. Maybe I’m over thinking this. After the funeral, Gwen goes to Peter’s house and he tells her he can’t be with her. I absolutely loved that she realized that her father made him promise. Instead of drawing out the “why can’t we be together” the way they did in the first movie trilogy, she knows exactly why. Peter listens to Ben’s message, and still, we don’t get the “with great power comes great responsibility” line. That is most disappointing. I would have even been okay if they had Captain Stacy say it. It would have made even more sense there with him knowing that he is Spider-Man. Then we see Peter walking down the street and he finds that someone has drawn his spider emblem on a building. Nice touch. In school, Peter and Flash seem to have buried the hatchet, and I love that Flash is wearing a Spider-Man shirt. Gwen smiles as he says the above line sitting behind her. I guess it’s pretty safe to say they will be back together very soon. Finally we have the famous Marvel “in credits” scene. Dr. Connors is led into a cell and sits down. There is a flash of lighting and a figure appears in the shadows. I have to assume this is Norman Osborn. Then the figure in the shadows disappears. So, if Osborn can appear and disappear from the cell, then he must have some kind of powers already. The scene doesn’t really tell us very much. We already knew that there was more to Peter’s father’s story than we have been told, but it does reinforce the importance of it. Actor Michael Massee was billed as playing “the man in the shadows”. I’m not sure he would be my first choice to play Norman Osborn. Of course, I am just assuming that it was Norman Osborn in the cell. It is also possible that they have not cast Norman Osborn yet, and that Massee was just doing the voice for that scene. Only time will tell. Okay, now on to the questions I had going into the movie. Q1. Will we get the Death of Gwen Stacy story? A1. Well, it certainly seems like they are setting up the Death of Gwen Stacy story. The fact that Peter didn’t have to rescue her this time seems to set up that they are saving that for later. Also, the very fact that Captain Stacy warns Peter that she could get hurt will make it all the more devastating when she does. I’m not sure if that should be movie 2 or 3. On some level, I’d like another movie to grow their relationship, thus deepening the impact of her death, but on the other hand, having that be the cliffhanger ending of movie 2 and movie 3 be about Peter hunting down the Goblin and dealing with Gwen’s death would be great too. Q2. What cameo appearances will there be? A2. Well, even if Norman Osborn wasn’t the man in the shadows, he was mentioned, so that’s somewhat of a cameo. If it’s not Norman Osborn, then it must be another villain, but since we don’t know who it’s hard to call it a cameo. A3. Andrew Garfield and Emma Stone were absolutely perfect. They held their own in scenes with Leary, Sheen, and Field. I wasn’t completely sold on Andrew Garfield (I wanted it to be Logan Lerman) but I’m really glad they chose him. A4. As I said above, I thought Uncle Ben’s death was portrayed far better in this movie than in the last trilogy. Q5. How will Peter be bitten? A5. This was perhaps my favorite change, taking out the random escaped spider and making it Peter’s own doing (and the spiders being developed by his father) make for a far better origin. Awesome. This entry was posted in Comic Books, Movie Reviews, Movies and tagged Marvel Comics, Movies, Spider-Man, The Amazing Spider-Man. Bookmark the permalink. 1 Response to Blog #153: Movie Review: The Amazing Spider-Man!